onclick Used when the object is clicked. onmouseup Used when the mouse button is released on the object. 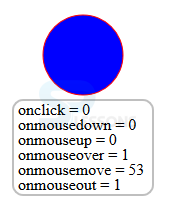 onmousedown Used when the mouse button is pushed down on the object. onmouseover used when the mouse cursor moved over the object. onmouseout used when mouse cursors moved out of the object. 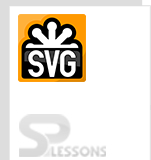 SVGs are supported most of the scripting languages.